Jeanne Yvette Mas Du Bois is unlike most other courtiers: her thirst for knowledge often incurs her father's brutal wrath. But her uncle encourages Jeanne's independence, secretly teaching her fencing in the palace's labyrinthine basement. 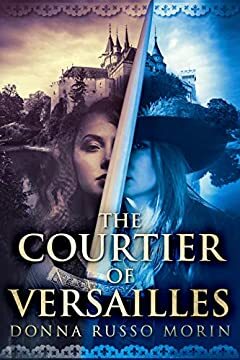 When two of the king's Musketeers are beset by criminals, mere feet from Jeanne's fencing lesson, she intervenes and saves one of the Musketeers' lives. Hidden behind her mask, Jeanne is mistaken for a man. As "Jean Luc," she is admitted to an inner circle where she learns of an assassination plot against the Queen. As Jean Luc, she is permitted to bring her intelligence and swordsmanship to bear. And as Jean Luc, she is free to love the man of her choosing... even if she can never have him.